Half of Steamboat’s population can’t be wrong. 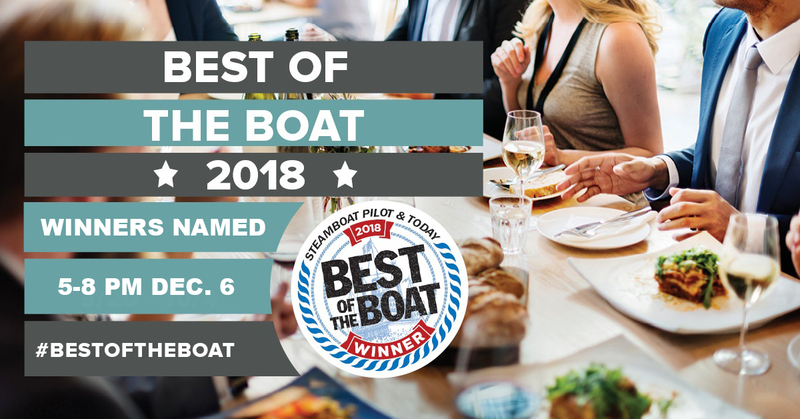 That’s how many people turned out for this year’s Best of the Boat contest, which lured more than 6,000 voters to the polls to express their opinions about all things Steamboat. Voters cast nearly 75,000 votes across more than 100 categories, ranging from best cocktail and carpet shop to best margarita and mustache. The annual contest takes our community’s pulse on what businesses, people and food rise to the surface as Steamboat’s best. Dining again proved most popular, drawing more responses than all other categories combined. Join us in December for food, drinks and a celebration of the winners.